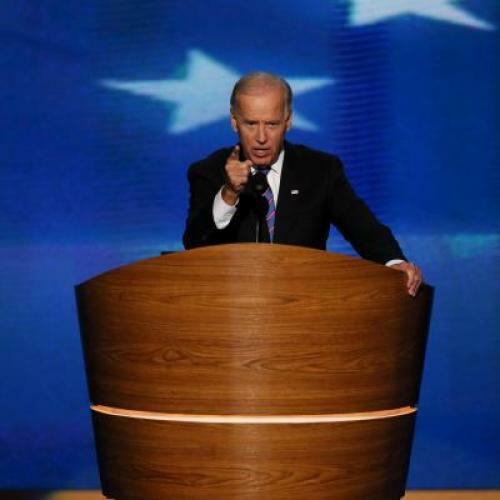 That line has been part of Biden's stump speech for months. He thinks those two episodes are the best arguments for Obama's reelection. I don't know much about the bin Laden raid, but I do know a lot about GM. And I think Biden has got a point. The voters are going to judge Obama on the entirety of his presidency. And they should. But how much can you hold him responsible for the economy, the ordeal of passing health care reform, or the limits of financial reform when he inherited such a drastic economic crisis and confronted such a hostile Congress? The rescue of the auto industry was different. Money for an auto rescue was already available. Obama had to decide to lend it and under what circumstances. His economic advisers had mixed feelings about such a massive intervention in the private market; they were particularly nervous about trying to rescue Chrysler, a company that seemed unlikely to survive even with assistance. Obama’s political advisers had polls showing that a majority of Americans, already angry over the Wall Street bailout, opposed rescuing the auto industry. The prospect didn’t even play well in the Midwest. Biden, in his speech, mentioned that Romney wanted to “Let Detroit Go Bankrupt.” That’s from the headline in a New York Times column that Romney wrote in late 2008—and, in some respects, that’s a bit unfair. Romney didn’t write the headline. And the article itself argued for a structured bankruptcy, in which GM and Chrysler would reorganize and emerge as stronger companies. But since that time, Romney has taken multiple positions on the auto rescue, depending on the time and political circumstances. When he thought he had to please conservatives, he said negative things about the rescue. When he thought he had to win the Michigan primary, he said positive things. And he’s said frequently it was a mistake to put taxpayer funds at risk, even though private lenders were almost certainly unwilling or unable to make the loans on their own. Could there be a more striking contrast in mettle? Obama’s supporters have at times oversold the results of the rescue: It remains to be seen just how successful Chrysler and GM will be, although both companies seem strong at the moment. In order to reorganize, the companies had to downsize, which meant plenty of closings and plenty of labor concessions. The economy in Michigan remains fragile. But every respectable expert I know thinks that allowing the industry to collapse would have led to real economic catastrophe. That didn’t happen—and that’s one part of Obama’s record for which he, and he alone, can take responsibility.